Can a runner go back and tag a missed base while the ball is dead? Well, that depends. Here are some circumstances to consider. 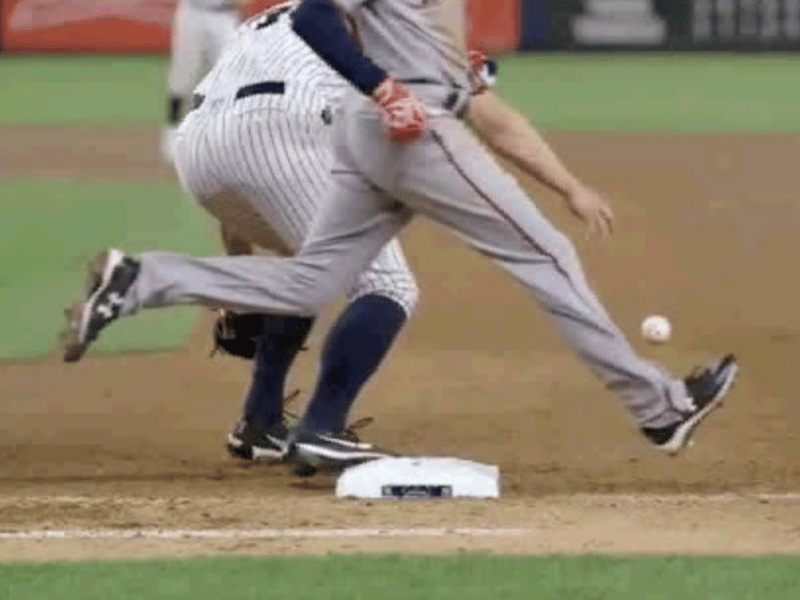 For instance, if a batter-runner misses first base and his fair batted ball ends-up in the seats for a book-rule double, he can still return to touch his missed base while the ball is in dead ball territory unless he touches his next base (second base) after the ball enters dead ball territory. If he does touch his next base when the ball is in dead ball territory he is not allowed to return to touch his missed base. But if the runner does return to touch his missed base, the umpires must remain mute. The onus is on the defensive team to appeal that the batter-runner touched “one base beyond” his missed base while the ball was in dead ball territory, and therefore did not have the right to retouch first base after the ball is dead. See Rule 5.09 (c) (2) Comment pg. 48 in the 2018 Official Baseball Rules. Runners Passing Runners, Oh My! Can a batter hit a pitched ball that has bounced in the dirt?